It all starts with the purchase, but it does not stop there! 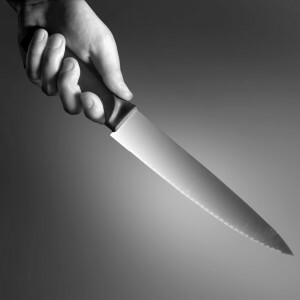 The knife will serve you well only if it will receive proper handling and care. The knife belongs to a cutting board. In a well known grindery, I was advised to use a plastic cutting board instead of a wooden one: “A lot of people are buying expensive knives thinking they will be able to cut everything with it. But this is nonsense of course, it’s like when you buy a sports car and you want to use it to move your stuff to another house, ” explains Jamie, who represents a popular Japanese knife mamking company. Knife hygiene needs are rather small – immediately after using it, just wash it under running water, dry and store it. Much better than the tray in a drawer is a knife block or a magnetic rack. The most important thing is that the blades do not touch each other, which causes them to lose edge. No matter what is written on the package, knves are not 100% dishwasher safe. Also, you should not use your knives to poke into potatoes in boiling water – heat is harmful for knives. Do not throw knives into the drawer without thinking; do not use them to cut stuff on plates, baking trays or directly on the kitchen worktop.